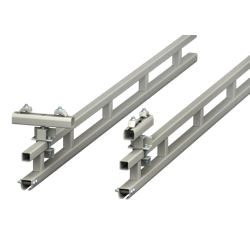 Available in 250kg to 2000kg capacity MET-TRACK® workstation cranes provide class leading capacity and coverage. 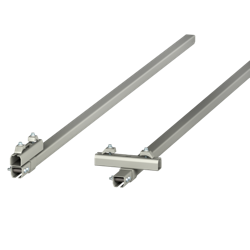 Ceiling mounted droppers support your crane with braces fitted to provide a completely rigid installation. 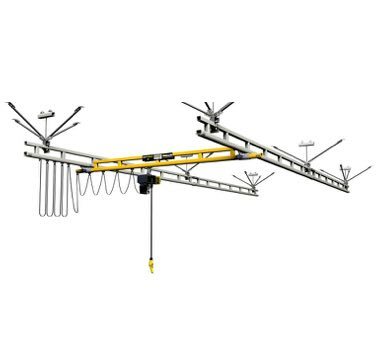 The light weight and flexible design of MET-TRACK® workstation cranes ensures they can be mounted to the widest range of ceilings. 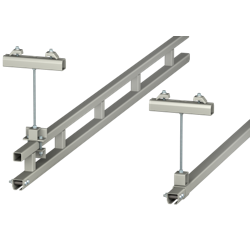 If your ceiling has sufficient capacity to support your workstation crane ceiling mounting provides the ultimate solution. Ceiling mounted workstation cranes leave your floor area completely free of columns and other obstructions, providing unimpeded access to your work area. Available in 240V and 400V, MONOCRANE chain hoists feature extremely low headroom, fast hoisting speeds and overload protection as standard.